Rochester, New York. Open Letter. 2017. 470 pages. 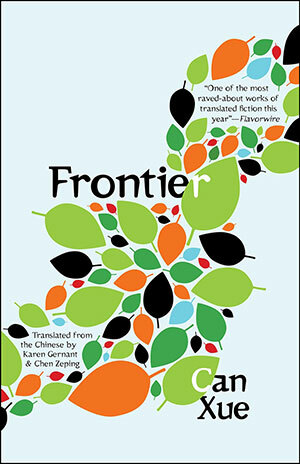 Frontier, first published in China in 2008, is Can Xue’s follow-up to her novel The Last Lover, winner of the 2015 Best Translated Book Award. 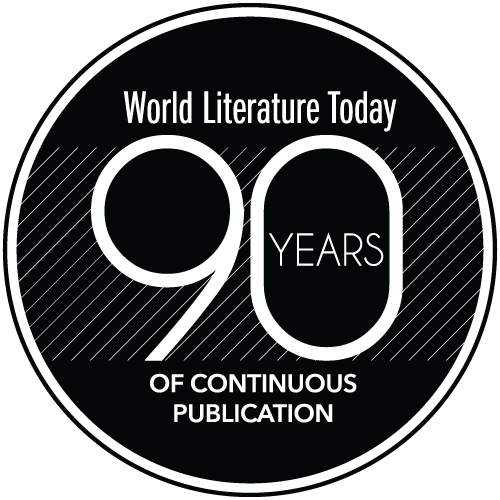 She was also nominated for the 2016 Neustadt International Prize for Literature. 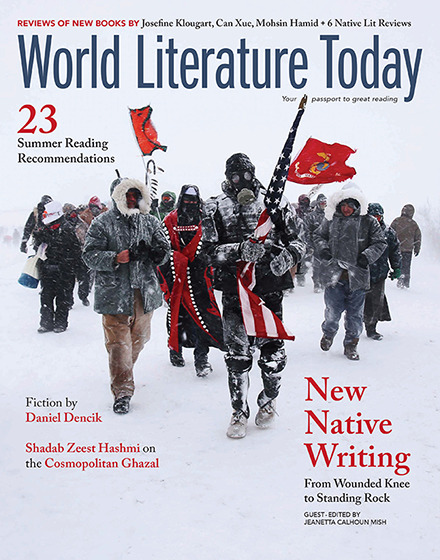 Can Xue’s writing has been described as avant-garde, experimental, and even bizarre; the fantasy and magical-realist elements make Frontier an additional cutting-edge narrative in her growing body of work. The setting of Frontier is a surreal place called Pebble Town where snow leopards and wolves roam the streets and a strange mix of mysterious characters live. Every member of Pebble Town has a different reason for coming to the town. Many of its residents appear to have gravitated toward this town as they were looking for a place to fit in; there are several characters in the story who are orphans and, after wandering for a while, have settled in this town on the frontier. The exact location of Pebble Town is never given; it is vaguely situated at the base of Snow Mountain, near a river, with one main street and a grove of poplars. There is a strange abundance of animals in Pebble Town that are constantly present in the narrative. Geckos, frogs, various types of birds and cats all wander in and out of Pebble Town. At times the landscape seems pastoral as one of the neighbors raises sheep in his front yard. There is a certain randomness and lack of order in Pebble Town that one would expect to find in a place that is located on a frontier. Frontier is not meant to give depth to any particular character. The roving, almost random feel to the novel purposely resists any attempt at truly knowing the inner thoughts of the inhabitants of Pebble Town. Each of the book’s fifteen chapters, written in extremely terse sentences, are dedicated to a particular character or pair of characters. In chapter 1, for instance, we are introduced to Liujin, a woman in her mid-thirties who has grown up in Pebble Town and lives in a house in the suburbs. Her parents have just left her to go back to Smoke City, and she is on her own for the first time in her life. As she goes about her various daily activities, which include selling fabric in the market and visiting her neighbors, she sees shadows of animals and people around her. Like the atmosphere in Pebble Town, Liujin’s hallucinatory visions are magical and dreamlike. Can Xue’s lack of connective sentences and transitions makes it difficult to predict where the narrative will progress from one paragraph to the next. The daily experiences of the people described in Pebble Town read like a series of flash fictions or vignettes instead of one connected narrative. This makes Frontier a challenging read—a peculiar, multilayered, and metaphorical text that demands a reader’s full attention in order to grasp the dramatic shifts in place and time.